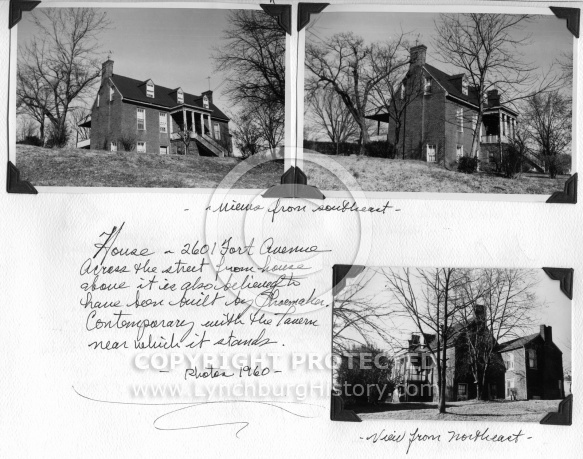 Description: House at 2601 Fort Avenue believed to have been built by Shoemaker (?). Contemporary with the Tavern near which it stands. Photo 1960.